Home » Morata double gives Spain victory over Malta. Morata double gives Spain victory over Malta. 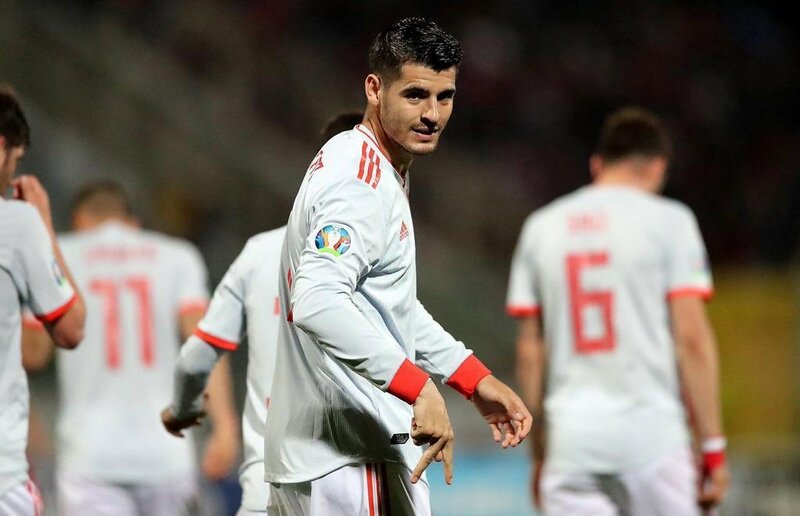 Spain’s Alvaro Morata scored double as they beat the highly defensive Malta side 2-0 on Tuesday to move top of Euro 2020 qualifying group with two wins out of two games. Assistant coach Robert Moreno was in charge in place of Luis Enrique who had to return home for family reasons. Moreno made eight changes from the side that had beaten Norway 2-1 on Saturday as their opponents preferred to sit back on their edge and defend most of the time. The Atletico Madrid striker found his way through the defensive opponents and in the 31st minute latched onto a long ball and sent his shot straight under goalkeeper Henry Bonello. Morata confirmed Spain’s victory with another goal in the 73rd minute, drifting free of his marker to comfortably head in a perfectly-weighted cross from Jesus Navas. While Spain struggled to play the free-flowing football, their inability to convert possession into chances clouded their early exit from last year’s World Cup. But Morato shows promising future as he regains his form since he joined Atletico Madrid on loan from Chelsea in January. “The boss knows how happy I am to be here and I am grateful to him,” Morata said.